Dolce & Gabbana were forced to cancel their ‘The Great Show’ in Shanghai due to accusations of racism. 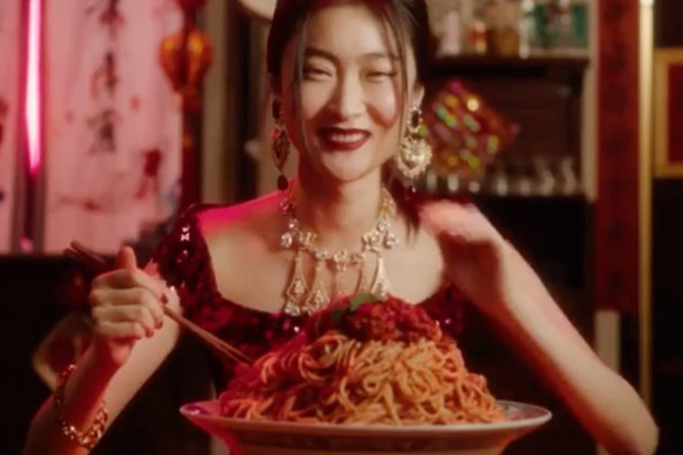 The Italian fashion house has been heavily criticised for their latest ad campaign, which leans on derogatory Chinese stereotypes and shows no understanding or appreciation of the Chinese culture. The runway show was set to take place on Wednesday 21st November, and was believed to be the largest fashion event in Asia this year. Yet, due to the huge social media storm surrounding the ad, many celebrities and influencers wanted to boycott the show. Videos of the controversial ad campaign were shared on Weibo (China’s main social media platform), in preparation for the upcoming event. The ad featured an Asian woman struggling to eat Italian food with chopsticks, which many deemed offence. Critics have argued that the campaign is outdated and stereotypical; with <strong>Dolce & Gabbana making a mockery of the Chinese culture</strong>. It gets worse, comments surfaced alongside the ad which appeared to show <strong>Stefano Gabbana</strong> slamming the Chinese culture even more. It is unsure whether the Dolce & Gabbana made the decision to shut down the anticipated show, or if the government authorities stepped in just hours before the show was set to begin. Even if the campaign was not authorised by D&G, we have to wonder why it was made in the first place.